my oh my, life can be wonderful. what a happy letter i found in our post office box waiting for us. 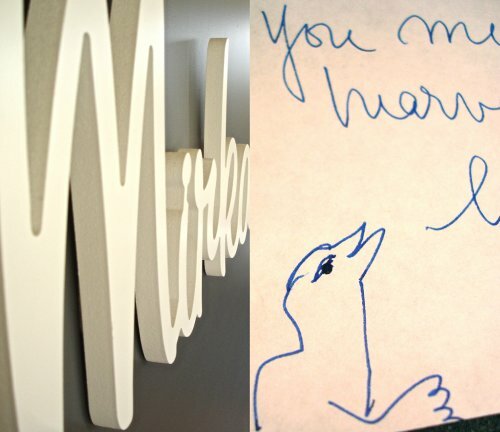 after meeting mirka mora last month, we wrote her a letter about how happy it made us to have had the chance for our little mirka to meet her namesake. 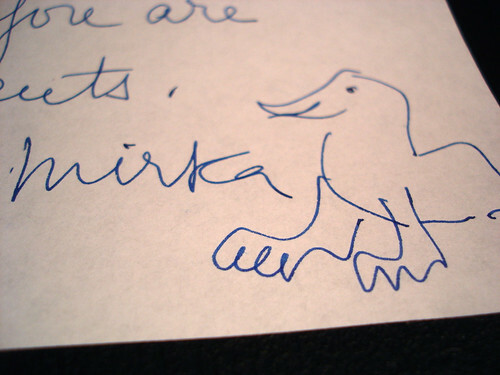 just look at her beautiful handwriting and sweet sketches at the bottom of the letter. our little mirka is one lucky girl. p.s. everyone loves the laser cut timber 'mirka' sign we have in the living area. let's face it, she's the boss. home. oh for crying out loud!!!!!!!!!!!! she did it! that's so wonderful, captain. x happy birthday little mirka.